Þórsmörk (Thorsmork) is a magnificent lushly vegetated mountain valley and designated nature reserve. The “true” Þórsmörk is the area between the Krossá, Þrönga and Markarfljót rivers, the valley is closed at the far end by the magnificent Mýrdalsjökull glacier. The notorious Katla volcano nestles ominously and quite restlessly at the moment, under the Mýrdalsjökull icecap. These natural boundaries define Þórsmörk. Although, many people mention Þórsmörk when they are talking about a wider area than this. The name Þórsmörk has some interesting links with Norse mythology and the Norse God Þór (Thor), the Thunder God with the famous hammer, Mjölnir. So the name means Þór’s wood, a really great name for this richly wooded valley! Sitting as it does within the embrace of the high mountain glaciers Þörsmörk Nature Reserve enjoys a climate which is more gentle and favorable than that in the surrounding area. The valley is home to birch and other trees, moss, ferns, more than 170 seminiferous plants and shrubs which all grow abundantly in this sheltered green paradise. It also helps that horses and sheep have not grazed here for more than 100 years giving vegetation the chance to flourish unimpeded! This fertile birch scented area contrasts starkly against the trio of towering mountain glaciers above it, Tindfjallajökull, Eyjafjallajökull, and Mýrdalsjökull. Following a trail up above the valley will take you close to the glaciers and provide a magnificent aerial view over the whole area. Þórsmörk Nature Reserve is a mind-blowing dream scene! 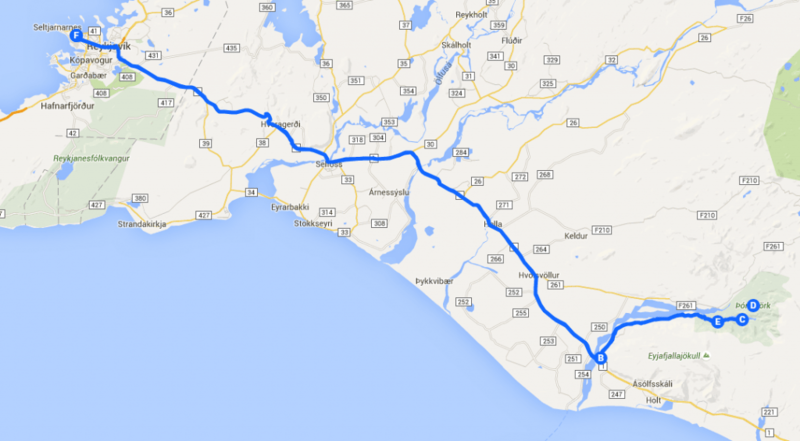 The journey through south Iceland to Seljalandsfoss, then on to Þórsmörk is exciting. Crossing the river Krossá (yes, Krossá literally means ‘the cross river’) is an adventure. Some days the flow of this glacial river is bigger and more forceful than others. A word of warning, go very carefully and never ever attempt this in a regular car! 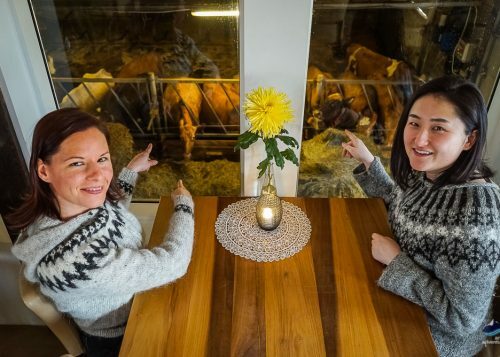 The Icelanders come here to relax among sweetly scented birch trees, hike and to ride on horseback as their ancestors did when they followed the Laugavegur trail in ancient times. 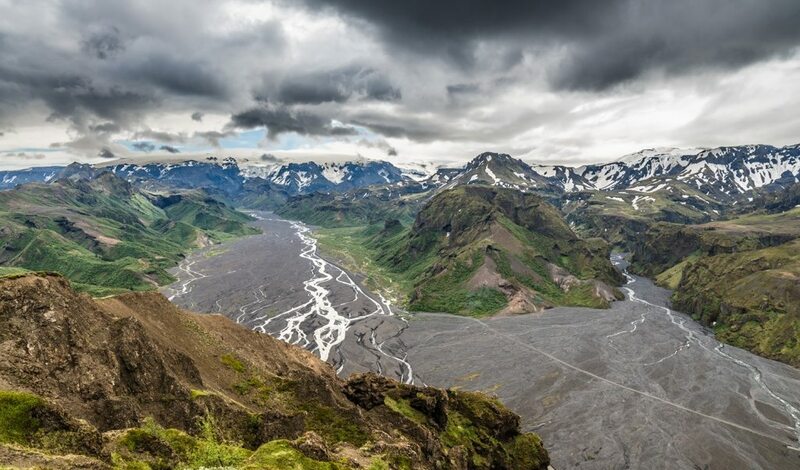 This world top 10 trail begins, or ends at Þórsmörk, depending which direction you walk in! Even if you only have a few hours here you can walk part of it, there are circular walks which include part of the Laugavegur trail. Horse riding and trekking tours will show you the very best of Þórsmörk over a few days – go home with memories to die for! All Þórsmörk hikes will take you to extraordinary lookout points and photo opportunities. On foot, horseback or just resting, the sights, smells, silence, and nature sounds in Þórsmörk Nature Reserve will envelop you in blissful tranquility to nourish your mind, body and spirit. The Básar Hut, run by Útivist, the touring Association of Iceland, offers accommodation and camping facilities at Þórsmörk (fees payable). Accommodation in the hut must be booked in advance. Útivist also offers mountain hut and camping accommodation in other locations nearby for those who are trekking. During summer from May to the end of September Básar hut and camping facilities are open. Open by prior arrangement for groups throughout the year. Other options are the Volcano huts or camping grounds. 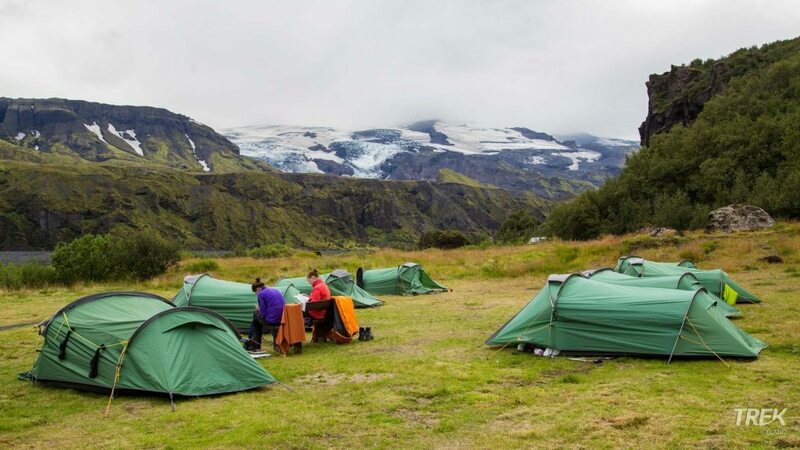 The camping sites in Þórsmörk are a wonderful option and one of our favorite while trekking the 6 day Laugavegur trek (camping) where two days are spent inside Þórsmörk valley. The Básar and Volcano Huts are the hiking hubs in Þórsmörk National Park! Pick up a detailed trails map from a warden and you are on your way. One problem – too many hikes to choose from! Mt. Valahnúkur 1-2 hoursFor a full panoramic view over Þórsmörk hike up to the stunning Valahnúkur mountain. This trail starting at the Langidalur hut and is well marked and accesible. It even has steps to help with the steepest parts of the trail. The view from the top is otherworldly! 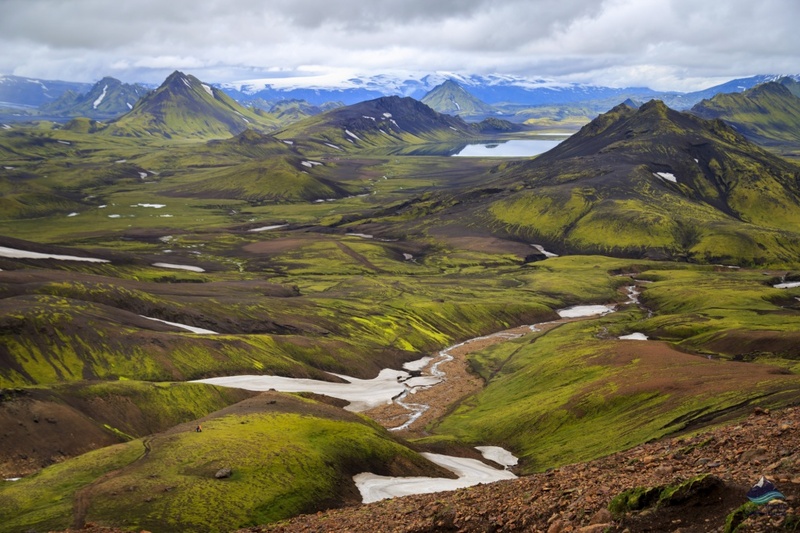 The foothills of Tindfjöll mountains 3-4 hoursThis trail takes you through the birch forest of the Húsadalur Valley. Leading you up to the bottom of the stunning mountains, Tindfjöll. Here you will make a turn to step into the last part of the Laugavegur trail. This trail is well marked and offers possibilities of lengthening it or taking short cuts on noticeable points. The landscape is fertile and unique and the hike is quite easy. The Tindfjöll route 5-6 hoursThis trails will give you the most stunning views but take you to a little bit more challenging terrain. The trail starts at Langidalur hut, the green one with the flag pole, and from there you hike up to the foothills of the Tindfjöll Mountains. The hills are quite steep so it’s best to zig-zag and walk with caution. The trail will lead you around the Tindfjöll mountains and on to the Stangarháls mountain ridge. Here you will tart to lower your location ascending all the way down to the Krossá riverbed. This trail is marked but a bit more challenging due to the steep hills. Þórsmörk Volcano Hike from Reykjavík offers a stupendous opportunity to get to know the most stunningly remarkable scenery around the Þórsmörk area. No outdoor enthusiast can afford to miss this! Your footsteps will take you from Básar, along a track high above the Valley of the Thunder God, up through the Fimmvörðuháls (Fimmvorduhals) mountain pass, site of the first eruption in 2010. See dramatic hanging glaciers as you gain and elevation of 800 m hiking 14 km through some of the most extraordinary scenery on the planet. You will even see Magni and Móði, the two new craters formed in the Fimmvörðuháls eruption of 2010. They are named after Þór’s sons, Magni and Móði, meaning strong and brave. Along with his daughter, Þrúðr, meaning strength, these sons are the children of Þór whom, it is said, best embody his own qualities and attributes. Vibrantly colored mountains, the verdant birch carpeted valley, ominous volcano mountain glaciers and new lava will make this a day to remember forever. The Laugavegur trail The epic trail can start or end in Þórsmörk. Depending on where you start. 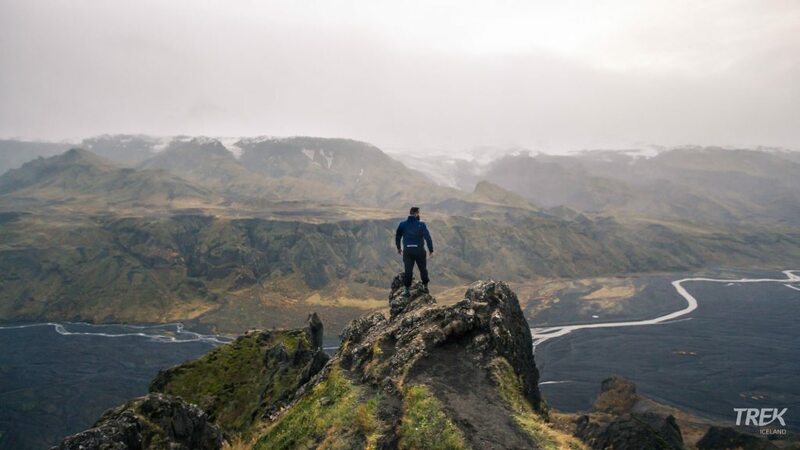 Many like to spend their time in Þórsmörk, adding the Fimmvörðuháls or just to relax and can strength after this 55km hike across the Icelandic highlands. Read more blogs about the Laugavegur. Trekking behind the mountains 3-day tour. 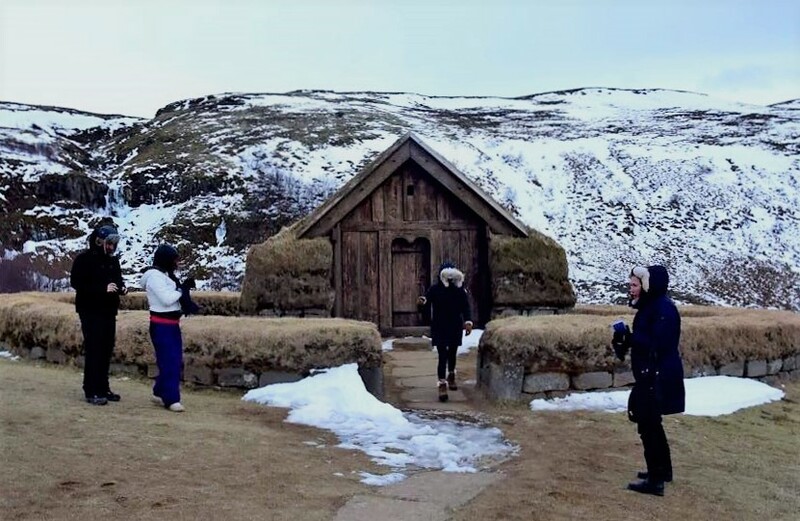 This tour which takes place inside the valley of Thor taking you to see all the highlands around in day hikes all whilst staying at the same hut at Básar. 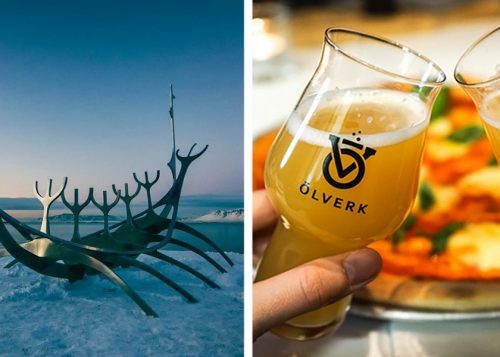 An epic way to explore this nature reserve Icelanders have been calling paradise from the Viking times. Valahnúkur, Fimmvörðuháls, glacier views and real mountain magic! Self-drivers need to get a 4×4 with suitable insurance cover to cross the river. Mention to your rental car provider that you intend traveling to Þórsmörk. Isak specializes in these kinds of vehicles. For more information see www.isak.com, other car hire companies have a few suitable vehicles too. Book in advance! Reykjavík Excursions runs a daily bus to Þórsmörk from BSÍ Bus Station in Reykjavík between 1st May and 15th October. Companies offer both one-day and multiday tours to Þórsmörk and then you will not have to worry about crossing the rivers and such yourself. Check out adventures.is or trek.is for options. Þórsmörk can also be visited in Winter and is an excellent point to view Northern Lights from. See the 4 day Northern Lights trek for more info. Do you have a memory from Þórsmörk? An extensive coverage on everything you need to know and pack before you embark upon the amazing journey of the Laugavegur trail. 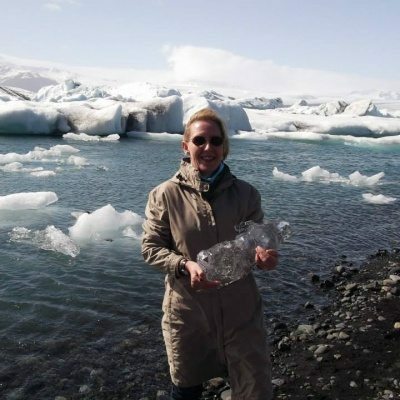 Our expert guide Inga goes the do's and don't when packing for an Icelandic trekking adventure. We have reached Landmannalaugar, we get out of the bus right next to a campground that is nothing but bare rocks. Now it is time to meet our supply driver that will make our life easy for the next few days, pack his car, have a quick bite to eat, grab our day packs and start what we all came here for, the Laugavegur Trail. Landmannalaugar is a stunning location in the Icelandic highlands. 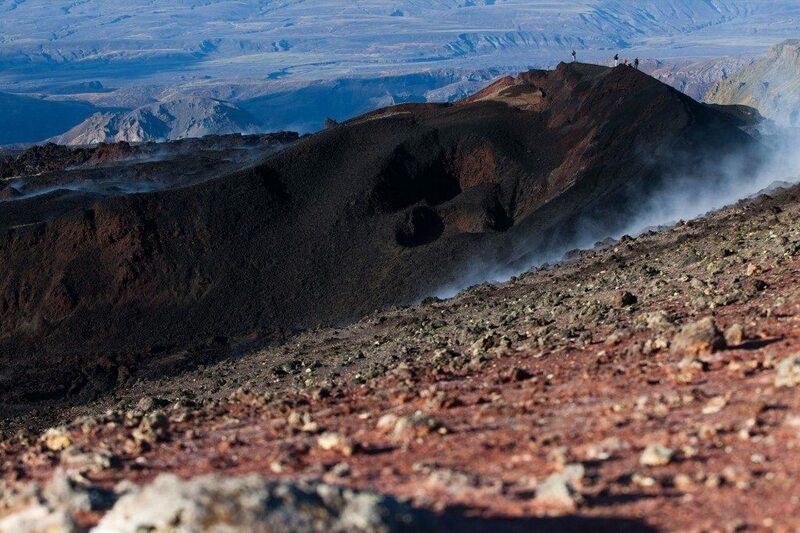 It's geothermal activity makes the place one of the most colorful hiking options in Iceland. 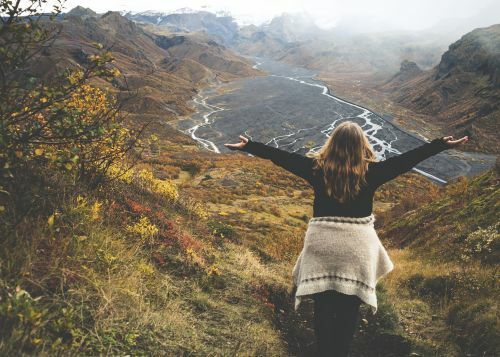 Landmannalaugar is a must visit for all nature enthusiast out there! 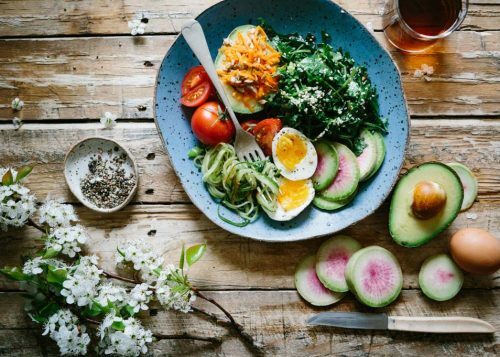 To find out all your need to know read this blog.